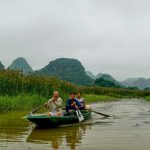 Viet Vision Travel has put together a list of Quang Binh tours combining essential cave and jungle discovery with hidden treasure exploration. 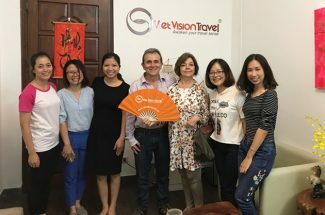 Whether you are seeking for an adventure tour or just want to escape from dazzling lights of busy cities, our ready Quang Binh tour packages below will absolutely bring something back for you, or if you do not find any suitable tour, please contact us and we will help you design your own Quang Binh tour that exclusively for you. 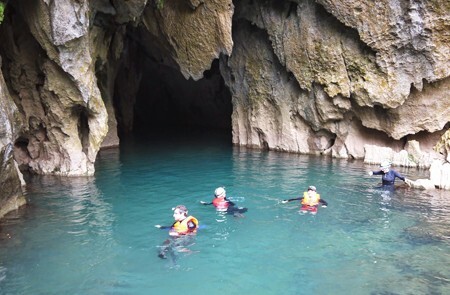 This one-day Quang Binh tour is specially designed for teenagers and their grown-ups with lots of fun outdoor activities like boating in the river, exploring a cave, swimming in the underground river, kayaking, zipline…. Is one-day tour enough for my family to discover the Phong Nha-Ke Bang National Park? 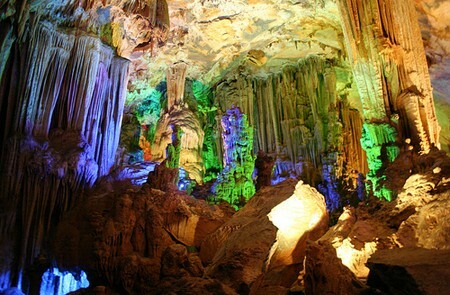 We will spend 1 day for Quang Binh tour, we love to Tien Son Cave, how can we discover all the length of Tien Son Cave? Of course, one-day trip is enough for you to fully enjoy all the activities and the beauty of the National park. Unfortunately, you are able to access only 400m of the cave with light system since the rest of the cave is underground and quite adventurous. My father really admires General Giap, and he wants to pay tribute to him in his tour to Quang Binh. Is it possible? The resting place of late General Vo Nguyen Giap is located in Vung Chua – Dao Yen Quang Trach District. Your father of course can come there to pay tribute to him. Why the local people named a cave “Swallow”? Hang En, so-called Swallow Cave, is inhabited by thousands of swallows, so people call it “Swallow Cave”. Have Son Doong Cave been equipped with cable car yet? Because I bring along 2 kids in my Quang Binh excursion? Unfortunately, this cave has not been equipped with cable cars. Should I bring along a flashlight when I discover Dark Cave? This cave doesn’t lack of light. It is just the name. But if you want to see more far corners of the cave you should. What dishes should we taste on my tour to Quang Binh? A trip to Quang Binh may be less interesting if one don’t try these foods: Porridge soup, Sweet deo, the filter cake, Brown rice pancakes, Black sea. 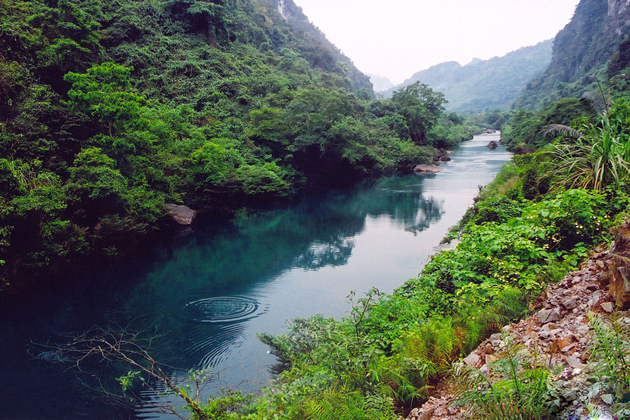 What is the highlight of Quang Binh tour to Living Valley? On our excursion to Living Valley, U guys will be shown how to survive in this valley by finding which kind of forest leave or fruit we can eat by the tour guide. What does “Tien Son” cave mean? Because stalactites and stalagmites have the shape like several fairy-tales, this is the reason why people call this cave “Tien” (Fairy). My kids are fond of activities. Any outdoor activities available in the Quang excursion to Dark Cave. We’ll be Hanoi in mid-December. After travelling some northern provinces, I’d like to go to Phong Nha-Ke Bang. But I don’t know what the best way to get there from Hanoi is? 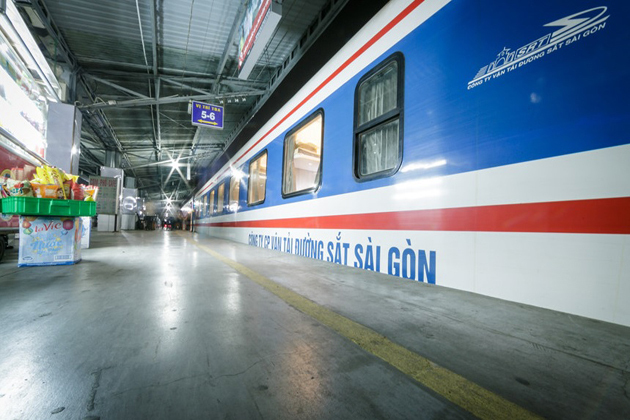 Overnight train is a good ideal as it is cheap & safe. 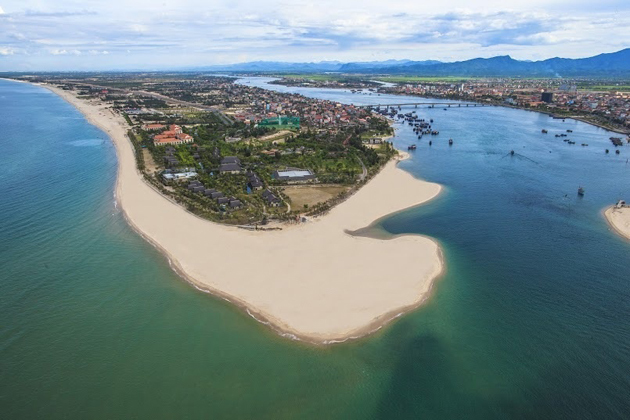 You can also catch the domestic flight Hanoi – Danang, then transfer from danang to Quang Binh by shuttle bus. I would be taking an adventure tour to Tien Son cave in next year. But do you know how to prepare before my short excursion to there? Physical preparation is the most important before Tien Son expedition to ensure your safety. You should take regular running, trekking and yoga for at least once per month. Mental preparation should be considered, always be strong, confident and ready for your trip. Purchase outdoor equipment is needed. We’re planning for one-week Vietnam vacation in this December. 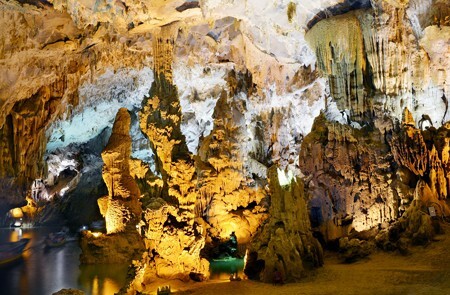 We spend 4 days for northern Vietnam & the rest for Central Vietnam with 1 day to Phong Nha Cave. Is one day sufficient for covering the cave? Yes, it is entire possible to cover the cave in 1 day excursion. I’ll be arriving in Vietnam in January and intend to visit Phong Nha-Ke Bang National Park. How to get there with the nearest route? Ho Chi Minh, Hanoi or Da Nang? 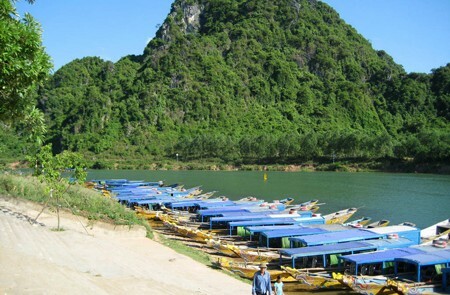 You should depart from Danang airport to go there, take a bus or train to Dong Hoi (Quang Binh) and then continue to local buses to Phong Nha-Ke Bang for cheaper fare. My flight will be Dong Hoi airport, Quang Binh at 22:00 this December. But how can I approach the city center at that time. Is it too late to travel by bus? The buses stop running at that time. From Dong Hoi airport, it’s just about 10km to the north to the city center, so the taxi is highly recommended. We’re planning to take Quang Binh tour to visit Phong Nha Ke Bang National Park in February next year for the first time. Are there any specialties to taste? Quang Binh is packed with specialties that you can bring to home such as Khoai deo, dried squid, Tan An girdle-cake or Voxa wine. 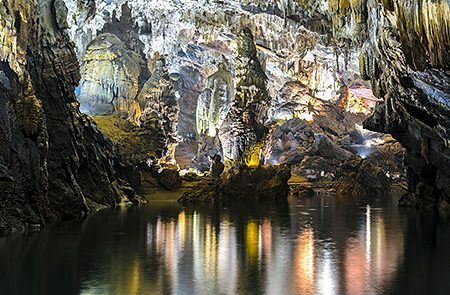 Is anything interesting to do in 1-day Quang Binh tour, apart from exploring Phong Nha Cave & Dark Cave? We intend to spend 2 days in Quang Binh after a long trip in the northern Vietnam. Can someone know if it is possible to visit Phong Nha cave in December? Quang Binh enjoys cold with gentle wind in December, but it isn’t as freezing as in the North. The temperature sharply drops to 18°C or 17°C. The heavy rains are not frequently occurring in day of this month as in October and November, but it tends to rain more at night. So, you should prepare raincoats, coats, boots, sports shoes if you’d like to visit Quang Binh at that time. Are the entry tickets included in Phong Nha-Ke Bang Park Tour? How much does it cost? Yes, we will provide admission fees at Phong Nha-Ke Bang tour to visit the Phong Nha cave and Tien Son cave, free of charge for 1,3 meter-high children. My friends and I are going to travel Quang Binh for 3 days-3 nights. We will be Dong Hoi in early morning, then catch bus to Phong Nha cave in the first day. Next day, we will see Thien Cung and Thien Duong cave. Is it possible to come 2 caves in one day? The last day is to visit markets, and return to Hanoi. If you depart early, you can visit 2 caves in one day. But I highly recommend you should spend one day for each cave to fully enjoy the beauty of the cave. We’re going to Hanoi in January next year. We’ll land in Hue after excursions in northern Vietnam and would like to get Quang Binh after that. Please tell me which is the best way to go? Coach is the best choice for you because of reasonable price and fast transfer. Moreover, you can take a taxi with quite higher price, but faster than coach. We are a group of a dozen including my 95 year old father, who is quite active but not really able to handle strenuous activity, or walk up hills much. Is there a tour appropriate for him? To behold all the beauties of Phong Nha – Ke Bang National Park, the best way is paddling downstream Son River which flows throughout the park. Along the river, you can enjoy the peaceful moments with the temperate weather, the soft sounds of water and birds living in the forests nearby. The boat will take you to the heart of the jungles to admire the dreaming waterfalls and discover the mysterious caves. If you are in search of the greatest, biggest, and deepest grotto in the world, then Son Doong Cave will be the best answer. Figures are impossible to describe this massive cave but a 40-floor building can be built inside the cave or a Boeing 747 can easily fly through it. 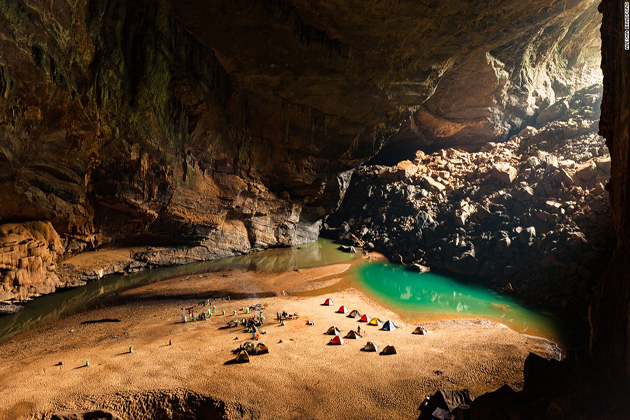 According to geologists, that they discover in Son Doong Cave is only the tip of the iceberg and hypothesis predicts a world even exists deep inside the cave. However, there are a few chances to explore Son Doong Cave as it is not opened publicly for the reasons of safety and conversation. Besides, an extremely good health, well-trained skills, and professional experience are required from the cave conquerors. 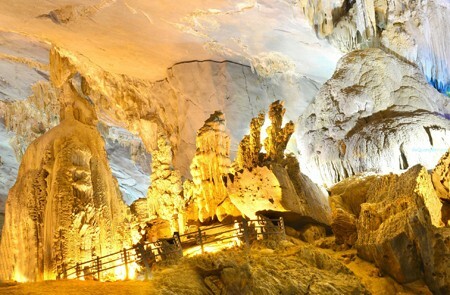 Although Son Doong Cave may be a difficult challenge for tourists, it is really worth your Quang Binh tour when exploring this astonishing cave. As the name implies, no light system is applied inside Dark cave so the magical and pristine beauty of the cave still remains. 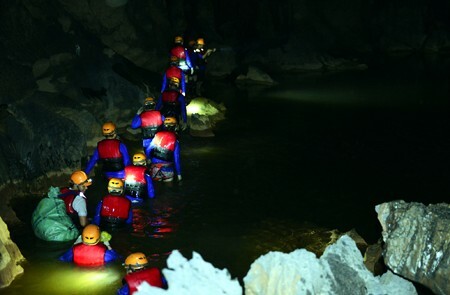 With flashlight helmets and other professional equipment, tourists will become a true explorer to explore the underground river system and admire the miraculous stalactite pillars with unique shapes. 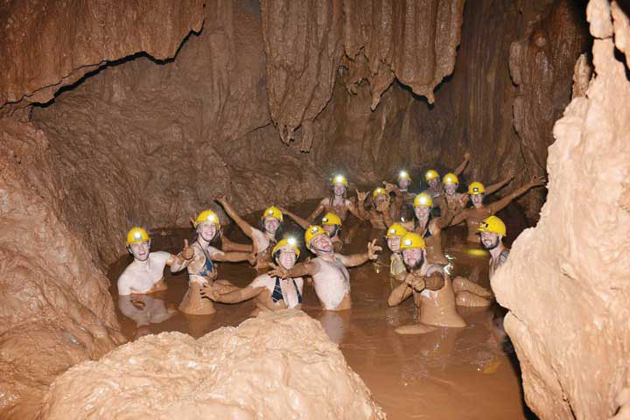 The most interesting activities in Dark cave are immersing yourself in a natural mud bath and swimming in Bong Lai Lake or Thuy Tien Lake. 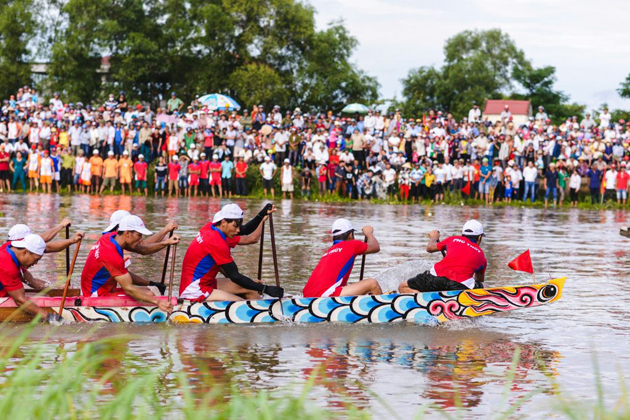 Besides, there are a lot of sports organized in Chay River near Dark cave such as zip lining as well as kayaking waiting for your experience during your Quang Binh tour. You may only know the paradise is in the sky and above the cloud but have you ever heard the underground paradise? The cave is an excellent performance of stalagmites and stalactites covered by the colorful lights among the mysterious ambiance. With the length of 31km, Paradise Cave is considered as the longest cave in the Asia and one of the most ancient one in the world. Another step inside the cave will be another impression and admiration before the masterpiece of nature. It is time to use your shoes as trekking in the World Heritage National Park recognized by UNESCO. A lot of rare floras and faunas are well-preserved in the park and if you are lucky enough, you will see them during your discovery. A good camera needs preparing to take the wonderful photos for a Quang Binh tour collection. 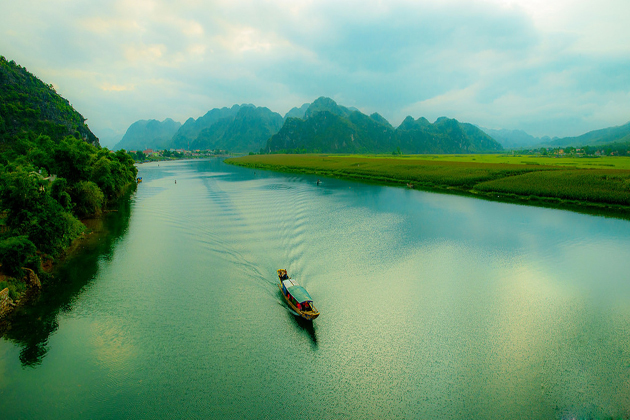 The charm of Phong Nha – Ke Bang National Park may make you forget that Quang Binh is a coastal city. The magnificence of Nhat Le beach can compare equally to one of Nha Trang beaches but it is not as touristy as some famous ones in Vietnam. In the morning, get up early to behold the splendid dawn on the beach then wander around the fishery market to buy some fresh seafood already caught by fishermen at night. At noon, a delicious lunch cooked from your seafood will leave you an unforgettable taste of Vietnamese marine. This meal can be prepared by yourself or by professional restaurants near Nhat Le Beach. In the afternoon, immerse your body in the cool water of the beach or participate in water-based activities until the sun sets. At night, follow the fishermen and join their boat to catch squids and fishes far away from the seashore. What an energetic day of Quang Binh tour in Nhat Le beach! The beach is a great exhibition of rocks with diverse shapes having created by water and wind for thousands of years. Conquering these tiny mountains will reward you with spectacular landscapes of the whole Da Nhay beach and the best scenes to take the awesome photos. The best time to visit this beach is at dawn or sunset when the rocks are dyed by the brilliant orange color of the sunshine. 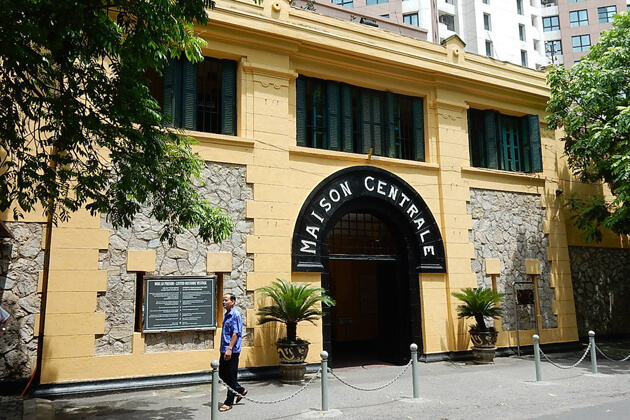 Vo Nguyen Giap is considered one of the 10 greatest generals in the world and the national hero who led the Vietnamese army defeat two most powerful enemies France and America in the 20th century. 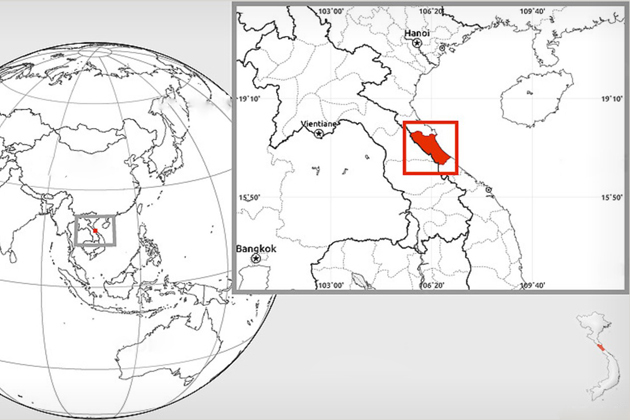 After his death in 2013, General Vo Nguyen Giap was inhumed at Vung Chua in the Northern Quang Binh. 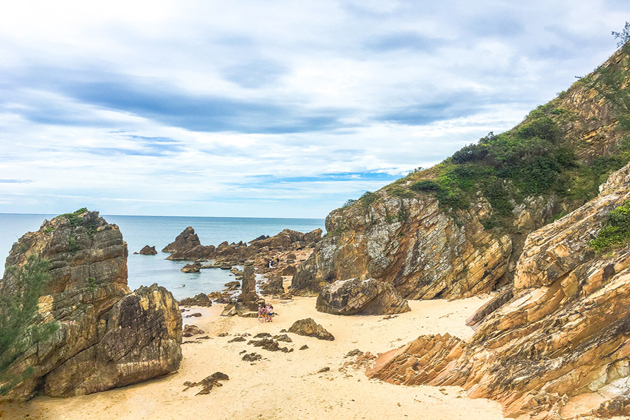 A trip to this land will give you further information on the outstanding person on one side and behold the breathtaking view of the beach on another side. 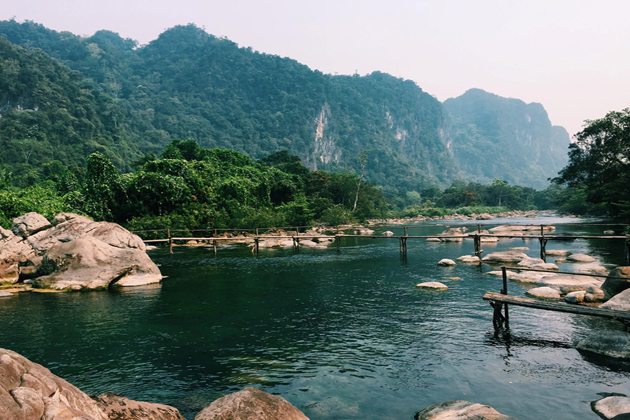 20km far from Phong Nha – Ke Bang National Park, Nuoc Mooc beckons tourists with the rustic scene of the waterfall, jungles, and wooden bridges. It is a great destination to escape from the heat of Quang Binh tours where you can enjoy some cool drink and take a short nap among the space filled by the pleasing sounds of water flowing over the rocks. Hire a kayak and paddle downstream the river is also an interesting option. 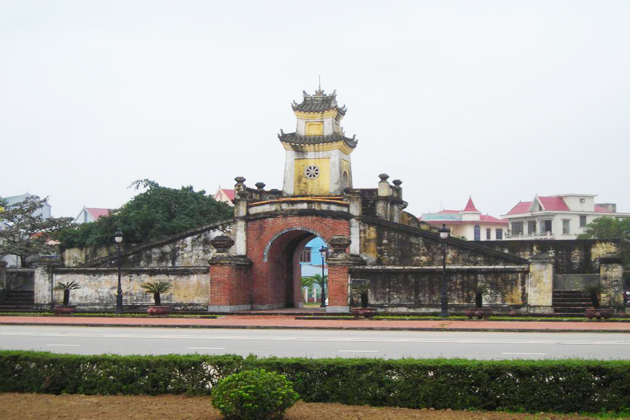 The capital of Quang Binh, Dong Hoi City, is known as the center of culture and economy of the province. You can spend a whole night strolling around traditional markets, enjoying Quang Binh specialties such as Banh Bot Loc (Clear Dumpling) or Banh Xeo (Vietnamese Crispy Cake), and buying some souvenirs and gifts. 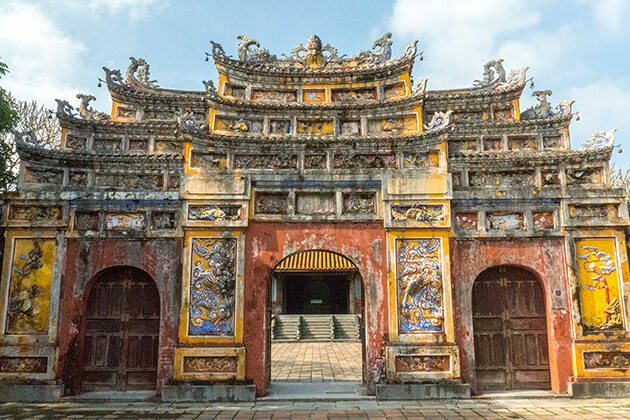 In the daytime, visit some historical relics Quang Binh Gate, Mother Suot Statue as well as Dai Giac pagoda will leave you wonderful memories throughout your Quang Binh tour. Hope that these suggestions will perfect your Quang Binh tour. 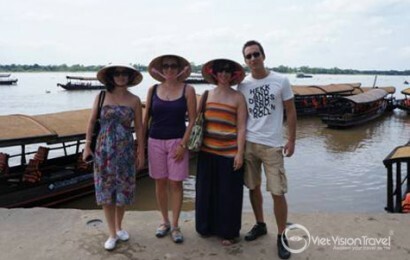 It is a pleasure for Viet Vision Travel to provide you with the most wonderful Quang Binh tours. Quang Binh has two distinct seasons. The rain season lasts from October to March while the dry season begins in April and ends in September with the average temperature of 25oC. Although the weather at that time is quite hot, cool breezes from the sea dispel the heat and bring comfortable feeling for Quang Binh. The low chance of rain gives tourists chances to explore and behold all the attractions. If you want to escape the hot temperature, explorations to Son Doong Caves or Phong Nha Ke Bang Nation Park will leave you the unforgettable experience. The monsoon from southwest brings the downpours to Quang Binh, which interrupts your travel to this destination. In these months, storms from the sea may attack and damage the coastal line. Water-based activities and discoveries in Quang Binh are not recommended for tourists. 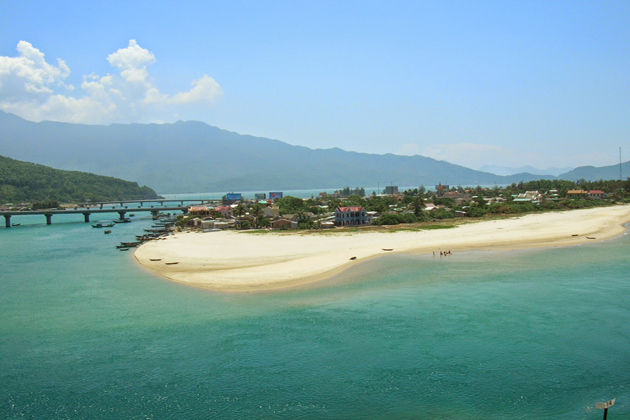 Central Vietnam of sand dunes and mountainous areas is the home to hard-working people who overcome the severe nature to build the beautiful cities and towns. Quang Binh is the symbol of this strong rise on the long and narrow strip of land. In the Vietnam War, it was the fierce battlefield that saw the sacrifice of thousands of people. They became the immortal legends of bravery as well as patriotism such as General Vo Nguyen Giap and Mother Suot. When the war ended, Quang Binh people had to rebuild their country from collapses. By their effort and intelligence, Quang Binh takes the lead in economy and tourism in central Vietnam. Every foreign tourist visiting this land is always welcome with sincere love, friendliness, and hospitability. Nature does not give Quang Binh the advantages to develop agriculture but creates the amazing landscapes such as Son Doong Caves, Phong Nha Ke Bang National Park, Nhat Le Beach…A Quang Binh tour will bring you interesting explorations to the biggest cave in the world, surprising discovery to one of the largest national parks in Vietnam, and peaceful moments on the beautiful beach of white sand and blue water. 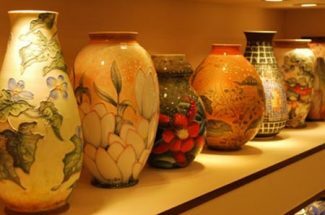 With the long-established history, Quang Binh owns the distinctive cultures which are combined from Cham culture from the South and Viet culture from the North. This combination creates a lot of traditional villages, festivals, and unique tradition and customs. 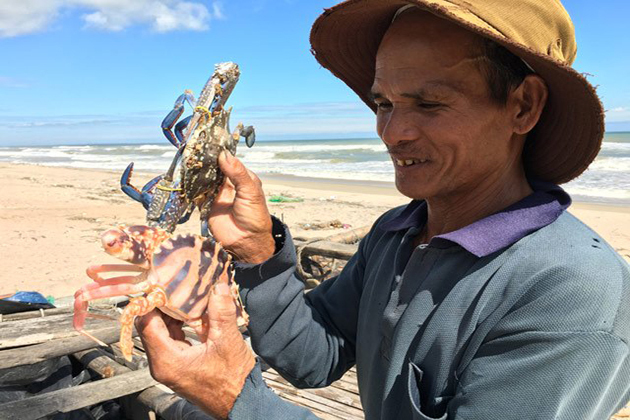 As the coastal city, fishery has been a vital part in life of Quang Binh people. The rituals and ceremony to honor fishery are organized all around the year. 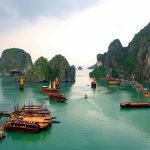 Although Quang Binh only has a domestic Dong Hoi International Airport, you can travel by plane to this destination from two international airports in Vietnam (Noi Bai International Airport in Hanoi and Tan Son Nhat Airport in Ho Chi Minh City). Vietnam Airline and Vietjet are two suggested airlines. Flight information can be checked at their official websites. 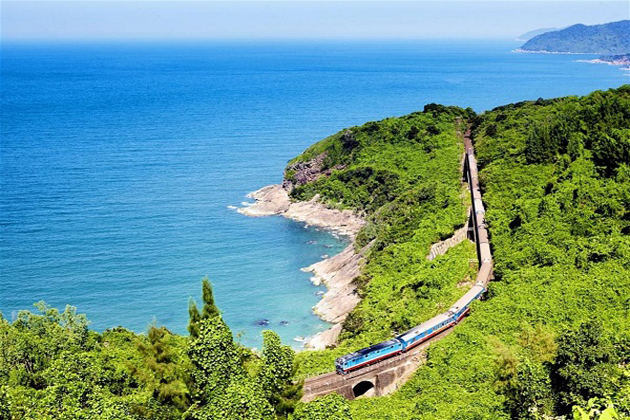 If you want to experience a new type of transportation, a hop on hop off train named Amazing Rail tour departs in Saigon with three stops at Nha Trang, Quy Nhon, and Danang before reaching Dong Hoi Station. Ticket and further information can be found at Saigon station. Provided that you want to experience Quang Binh tour by your way, hire a motorbike is a recommended choice. Most of the hotels provide this service at a reasonable price (about VND 150,000 per day). 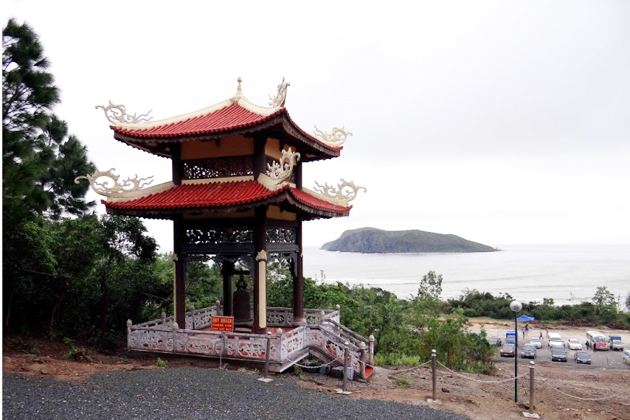 In general, Dong Hoi City, as well as Quang Binh province, has good mobile phone connections. 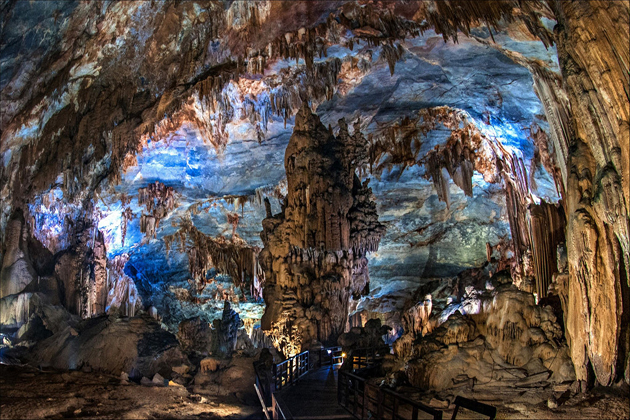 However, in some areas such as Phong Nha – Ke Bang National Park, the connection may be lost. Note that you need to register with Vietnamese mobile operators for SIM card purchases, international roaming services, and others. Viettel, Mobifone, and Vinaphone are the suggestions with a lot of agencies in Quang Binh. Wi-Fi connection and Internet Access are available in the airport, station, hotels, restaurants, and public places. In the dry season, keep your body hydrated by carrying a bottle of fresh water. Sunscreen and glasses are recommended to protect you from the sun. In the rainy season, always carry with you an umbrella or a raincoat in case downpours can occur at any time. Choose the clothes which are easy to dry and fold. Prepare a substitution if your plan is canceled due to the weather. 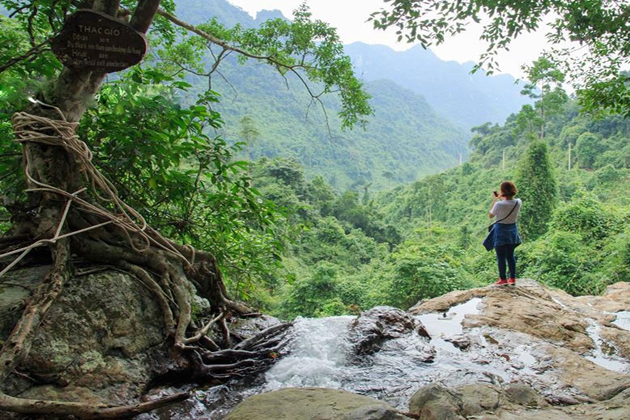 Insect repellent, snacks, mineral water, and sport shoes are required for trekking adventure in Phong Nha – Ke Bang National Park. Gas stations are rare in Dong Hoi City so check their locations carefully if traveling by motorbikes. 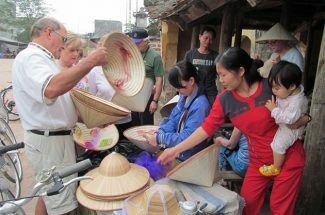 Ask the prices first when shopping and eating in Quang Binh.